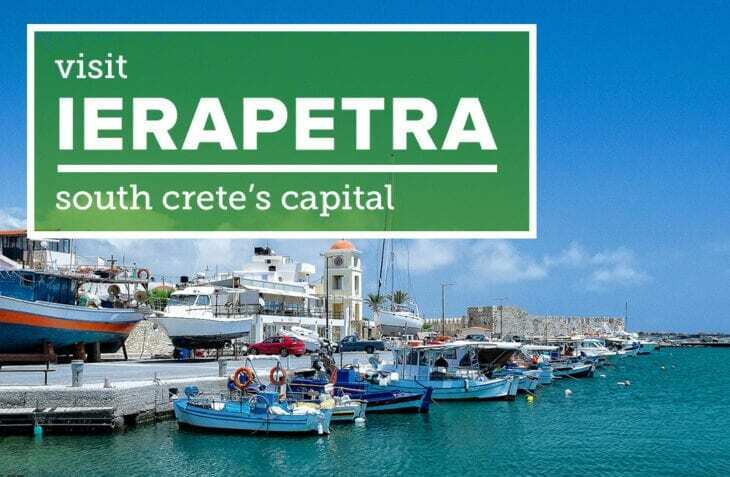 Ierapetra is a small town in southeastern Crete, sun-kissed, its shores lapped by the Libyan Sea and frequently buffeted by strong winds that blow throughout the year. The sea was and is ever-present, imposing itself on the landscape and dominating the constantly changing colours and hues that endow the city with a romantic but also languid air. The sunsets – especially in winter and when happening to coincide with a cloud-laden sky – offer an incredible fiery spectacle, and the mid-August full moon is also a stunning sight. The sites we recommend are the Ottoman mosque at Kato Mera, the Venetian Kales Fortress – built in the 13th century, with a lovely view of the harbour, the beach and the part of the town that is on the seafront – the Church of Afentis Christos overlooking the harbor – it was built in the 14th century and still holds to the custom of burning an effigy of Judas at Easter – and the Ottoman School built in 1899 that is now home to the town’s Archaeological Collection, where the most outstanding exhibit is the beautiful statue of the goddess Persephone in a veil. A simple stroll through the snaking streets of the old town is also a lovely experience. Rent a car or a scooter on the short excursions in the general vicinity and am particularly fond of Myrtos, a picturesque seaside village, but also Anatoli, Oreino, Psychro, Schinokapsala, Agios Ioannis and Pefkous, villages high up in the mountains with fantastic views of Lassithi’s landscape. Also, Mount Thrypti, with its famous Ha Gorge near Kato Chorio, offers an unforgettable experience. Another favourite escape of mine is the area between Makrygialos and Goudouras, home to the Monastery of Agios Ioannis Kapsas, on a hillside near the exit to the Perivolakia Gorge, overlooking the Libyan Sea and the islet of Koufonisi. 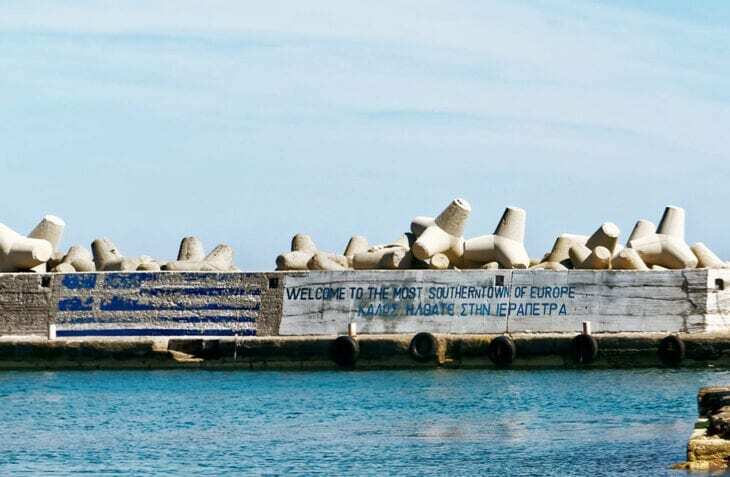 The islet of Gaidouronisi – included in the European Union’s Natura 2000 network of protected areas for its natural beauty – holds a special place in my heart, with its azure waters and wonderful beaches. There’s also the Minoan settlement of Gournia, one of the most important archeological sites in Europe, just 15 kilometers north of Ierapetra. Our favourite beaches are Agia Fotia, Peristera and Megali Paralia, below the settlement of Koutsounari, which has some spots that are packed with tavernas and bars and others that are perfectly quiet. Beach at Myrtos village, with its quaint tavernas, as well as the beach at Tholos on the Aegean side, near the village of Kavousi. Of course there are lots of very small beaches that can be discovered by exploring the coast and which offer a more private experience as you bathe in the warm waters of southern Crete. As for eating out, opt for Napoleon’s in Ierapetra, a local landmark. Outside Ierapetra, Also, Yanni’s taverna in Monastirali for traditional “bourbouristous” snails or an omelette with jacked potatoes, as well as Piperia in Pefkous for really good food. 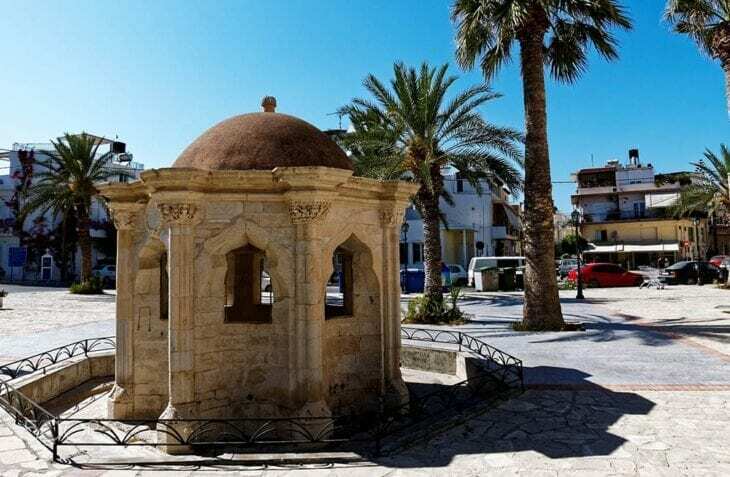 Inside Ierapetra, there’s also Veterano, a pastry shop that excels in coffee and cheese pies, Spyro’s raki and meze joint in the centre, and Vangelis’ raki place – known as “Fysekas” to locals – down at the beach. For drinks and dancing, try Saxo, Priority, Peppermint Motel and Nuevo, all in the harbor area.